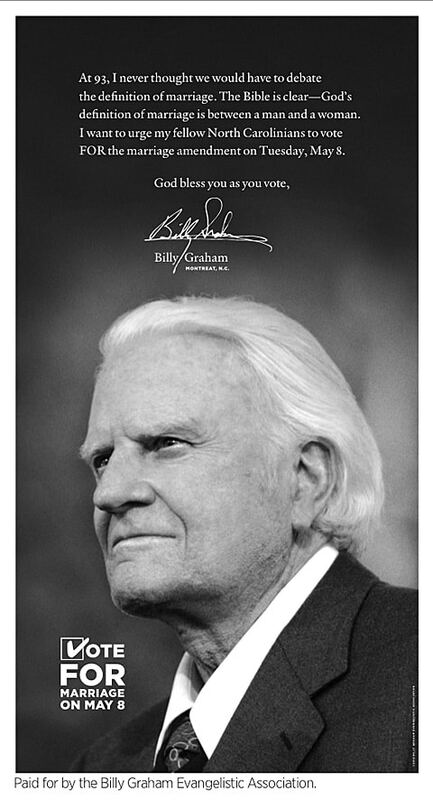 On Wednesday, I noted that evangelist Billy Graham was speaking out in support of North Carolina's Amendment One and was running an ad in 14 state newspapers. Here you have it. There's still time to donate against it.